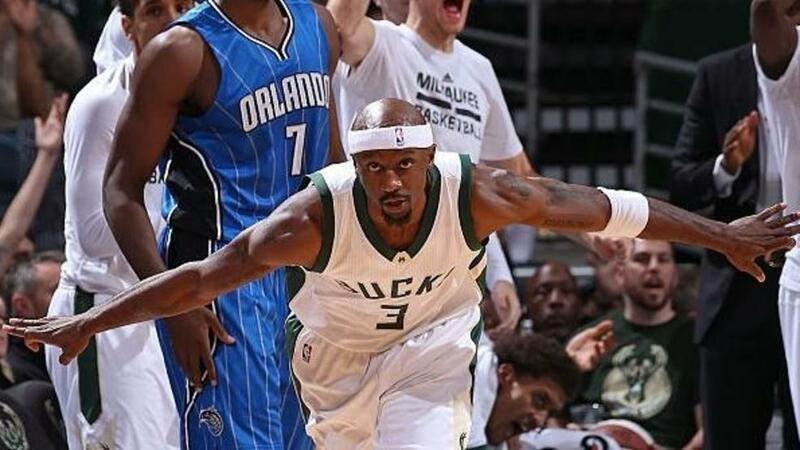 With an estimated net worth of $40 million, Jason Terry was a professional basketball player who played for the Milwaukee Bucks of the National Basketball Association. Most of his wealth was earned from playing for the NBA. Terry officially joined the NBA in 1999 when he was selected as the 10th overall pick by the Atlanta Hawks in the first round of the 1999 NBA Draft. He received the NBA Sixth Man of the Year Award in 2009 and he won the 2011 NBA Championship with the Dallas Mavericks. In 1999, he signed a 3-year $4.7 million contract with the Atlanta Hawks and in 2003, he re-signed with a 3 year $22.5 million worth of contract with the team. In 2006, he signed a 6-year $57 million contract with the Dallas Mavericks. In the year 2017, he signed a one-year contract with the Milwaukee Bucks. He was able to endorse the Reebok sneakers brand. The below financial data is gathered and compiled by TheRichest analysts team to give you a better understanding of Jason Terry Net Worth by breaking down the most relevant financial events such as yearly salaries, contracts, earn outs, endorsements, stock ownership and much more.